Frog of Fortune is a 20-payline online slot developed by Core Gaming for the SG Digital platform. Base game spins randomly get a boost from one of 5 Reel Modifiers; or turn up with a Total Bet Multiplier to award an instant cash bonus. The best paid-spin outcomes are Bonus Game Symbols that trigger a free round. A bonus bout always culminates with a Super Spin enhanced with Wild Symbols and a Win-Multiplier. Get to know Mr. Frog, seemingly an unlikely bringer of fortune since the character is asleep most of the time. Yet once he gets a tug from his fishing rod, he snaps out of his slumber. Although snagging only a bottle, the object has potential to produce a Reel Modifier. At random occasions, Cash Bugs swarm across reels. If a Cash Bug gets swatted, the event brings on an instant cash prize. Mr. Frog appears with a lively image as Wild Symbol, all set and ready to complete or expand a winning payline combo. Still, a Wild Symbol must align in the same payline occupied by identical images in order to represent the symbol. If aiming to land high-value wins, set your sights on hitting a winning arrangement composed of 2, 3, 4 or 5 Frog Wilds, or of Frog of Fortune Logos. Both icons occur as highest paying elements. The longest grouping of Frog Wilds, or of Frog of Fortune Logos in a paying line, draws out a cash reward equal to 2x, 50x, 100x or 500x the Coin Value staked as Line Bet. Smoke Dokey Wilds -A Frog Wild Reel may come out and take position as outcome of an ongoing spin. Mega Pickin’ Symbol – A large bubble appears, whilst reflecting different symbols. Once the spinning motion stops, and if the last image displayed by the bubble lands on reels as outcome, it will spread out in multiples via a 3×3 block of reels. Cotton Shakin’ Wilds – When Mr. Frog’s pergola starts to shake, several Wild Overlays drop into random reel positions. Bootin’ Tootin’ Multiplier – A random Win-Multiplier will be released the moment Mr. Frog lets out a burp. Bonus Diggin’ Chance – On a whim, Mr. Frog takes out his slingshot as his way of adding multiple Bonus Symbols to the grid. The additions though does not come with guaranteed positive results, as the bonus icon still has to simultaneously emerge in Reels 1, 3 and 5. On any spin, a swarm of Cash Bugs carrying 2x up to 50x Total Bet Multipliers appear on screen. As if anticipating for such events to happen, Mr. Frog takes out a bug swatter. If he succeeds in swatting a Cash Bug, an instant cash bonus will be awarded based on the Multiplier held by the insect. A round of 14 Free-Spins and 1 Super Spin activate, if Bonus Symbols emerge simultaneously in Reels 1, 3 and 5. During free bouts, Frog Wilds may land on a Log or a Lily Frond. If it does, the Wild will stick to the related object and float either on a rightward or leftward direction, shifting one position at a time. Frog Wilds floating on a Lily Frond move toward a Multiplier Collection panel located on the right. 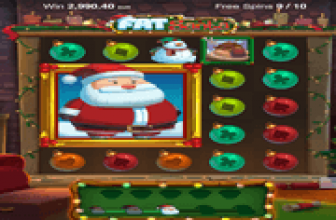 Wilds travelling via floating Logs, move to the left to fill a Wild Collection panel..
After completing all 14 regular Free-Spins, the bonus game culminates with a Super Spin enriched with Frog Wilds and a Win-multiplier. Any number of Frog Wilds collected via Logs and Lily Fronds, determine the numbers occurring as Super Spin win-boosting features. 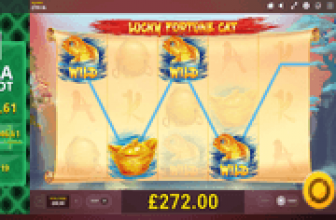 Frog of Fortune online slot promises to boost chances of hitting Big Wins by triggering Reel Modifiers and a round of free games that culminates with a Super Spin. 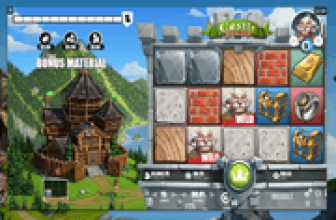 Additional Winds, Win Multiplier or Bonus Symbol may be added at random to modify a base spin-outcome, but not necessarily guaranteed to yield winnings. A Free-Round on the other hand is certain to award a Super Spin, to which chances of hitting big wins get a boost from multiple Wilds and a Multiplier.